Sweet ride . . . lets chew up some highway . . .
One of my favourite cars next to the Porche Carrera GT. 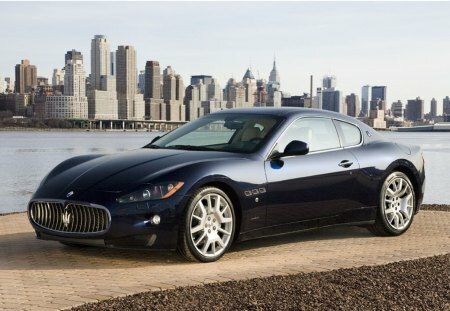 I like the Maserati Gran Turismo S, it has a little bit of a more sportier look to it and better mag rims. Anyways nice picture.